Ronald McDonald House of Indiana. We’ve been so happy to act as their official Pantry Partner all month, helping to stock their shelves full of items they need to help the more than 35,000 families they have served and continue to serve. In case you’re not familiar, the Ronald McDonald House of Indiana is a safe haven serves parents and siblings of seriously ill or injured children during difficult times. Housing that many people is a tough job, but it’s one the Ronald McDonald House has never shied away from. The total tally is in and we were able to donate more than 500-dollars worth of household items that will help these families! We want to send a huge thanks to our employees who brought in items as well as the Ronald McDonald House of Indiana for doing so much good in our community! INDIANAPOLIS, Ind. (August 29, 2012) – SmarTravel, a company which sells vacations by the week at wholesale prices, makes donation after a month-long partnership with Ronald McDonald House of Indiana. 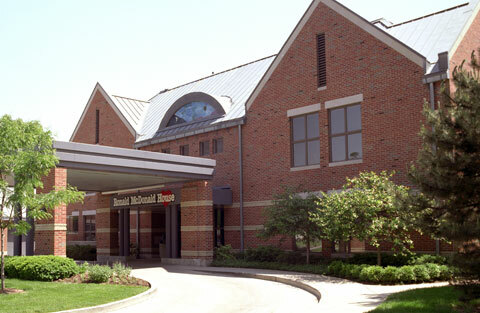 The Ronald McDonald House of Indiana provides a safe haven and home-away-from-home for parents and siblings of seriously ill or injured children. Since opening their doors in 1982, they’ve housed more than 35,000 families. Because of their large number of guests, the organization is constantly looking for household items to be donated. 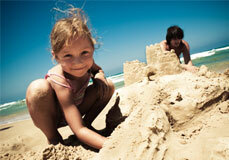 SmarTravel is a travel company offering vacations at wholesale prices. Founded by Ohio businessman and community leader David Wise in 2001, the goal of the company is to provide families with affordable quality vacations. SmarTravel offers its clients the opportunity to vacation in many popular resort areas, where the company and its partners own, lease, or otherwise have access to resort accommodations. SmarTravel utilizes a simple and proven concept: to buy vacations in bulk and pass the savings on to the traveler. As a way to say thank you to those who take on the role of a big brother or big sister to young people, despite there being no blood relation, we have donated Lake Erie Crushers tickets to the Big Brothers Big Sisters of Lorain County, Ohio! In case you’re not familiar, the Big Brothers Big Sisters organization pairs adult volunteers (these are the Bigs) and young people (these are the Littles) together in an effort to help the Littles realize their potential and build their future. The pairs will spend time together doing a number of activities in the community. The Bigs are kind enough to always foot the bill for these experiences and by that we were inspired! SmarTravel donated almost 50 tickets to the Lake Erie Crushers game on Wednesday, August 15. We hope all the Bigs and Littles who received tickets and went to the game had a great time! As always, SmarTravel is committed to giving back in the community and making a difference in the lives of those around us. Whether it’s a 2-week vacation or a 2-hour baseball game, we believe doing what you love is important for everyone! This free app for Apple, Android and Blackberry devices is an easy way to organize and share your travel plans. Most vacations require multiple reservations and confirmations – and now they can all be in one place. You can forward all of your hotel, airline, car rental and activity reservations to Trip It and the app does the organization for you! This is perfect for busy travelers that book in advance and don’t want to hunt for reservation information later. This free app for iPhone helps you find free and paid wi-fi hot spots around you. This app has over 650,000 locations in 144 countries which makes it perfect for travelers that crave internet connection. Just open the app to find a hotspot near your location and get the fastest directions to lead you there. · Around Me – Find the closest…anything! This popular free app for Apple, Android and Windows users allows you to search for the nearest restaurants, banks, gas stations, grocery stores, movie theaters and more. The app provides info on local businesses nearest you and shares important details, such as phone number and address, for easy access. This app is a must have for every traveler. Road tripping to your SmarTravel destination? Worried about rising gas prices? This cheap gas finder is free for Apple, Android and Blackberry devices and works well on the go. You can locate gas stations near you and see their current gas prices. This free app for iPhones is a real-time dining deal search engine that gathers the best deals from sources and compiles them in one place. You can filter results based on cuisine and location and purchase the meal deal right from the app. The app shows important restaurant information, such as contact details, menu, photos and reviews. This app is perfect for traveling to big cities to find great deals. So for your next vacation, utilize technology and save money! For more information about vacation options from SmarTravel, visit our website. As a last-minute traveler, you have to be flexible when it comes to selecting a vacation destination and accommodations. Try to think outside of the box when planning! Try a unique getaway spot in a lesser-known area. Sometimes just driving out of town an hour or two to a place that provides a change in surroundings can do the trick. A quiet and quaint place may be just what the doctor ordered to get your body relaxed and relieved of any work-related stress. Embarking on any new experience will be enough to fulfill your vacation needs. SmarTravel offers multiple destinations all across the United States and the Caribbean that are large enough to accommodate last-minute travelers. Little Harbor in Florida, Waterfronts II in Ohio and the Brigantine Island Beach Resort in New Jersey are just a few of our unique destination options that have excess lodging. After you decide on a destination and book your accommodations through SmarTravel, do some rapid-fire research! If your journey is going to take you to a place you have never been before, check the weather so you know what to pack and look into popular tourist attractions so you know where to go. Plan activities before you leave that all members of the family will enjoy so that no time will be wasted once you arrive. Consider setting a budget for each member of the family in order to avoid impulse buys that come along with last-minute vacationing. These pre-vacation preparations will eliminate common stresses once you arrive and allow you to transition into relax mode right away! We Were on Indy Style! For those of you in Indianapolis, we hope you’ll come see us at the Indiana State Fair! Our booth is located right by the grandstands on Main Street. We are also so excited to share that we were part of a live broadcast at the fair on Indy Style! Our Senior Marketing Manager Laura Mann took to the mic to talk all about vacation destinations within driving distance of Indianapolis as well as a few travel tips for families on a budget. Hope you enjoy the video! Happy vacationing! Vacationing is meant to be fun, refreshing and relaxing, but that doesn’t exactly mean you should veg out the entire time. While taking a break from your normal routine can reduce stress, it’s important to keep active even though being totally lazy can be tempting while on a trip. Many vacationers work for days, weeks or months to get bikini-ready for a vacation, then dread getting on the scale upon returning from their trip. Staying active while away doesn’t have to mean exercising every day or maintaining a super strict diet! Follow these tips and tricks to stay active while on vacation and beat that post-trip scale fear! While some locations may require you to rent a car, it’s likely your hotel or resort is close to many of the places you’ll want to go. Try to walk to local beaches, restaurants and shops in order to get exercise every day. Pack tennis shoes or shoes that are comfortable to walk in so you have no excuse not to get some steps in! One way to get in some exercise while still enjoying your vacation is to explore your surroundings. Plan a day to hike different trails or bike scenic routes. Check to see if you’re near a national park! National Parks can be a great way to learn about your destination while staying active. Break up a beach day with a long walk; it’s relaxing and a good way to get your blood flowing a bit. In addition to National Parks, do some research to see if there are any amusement or water parks nearby your vacation destinations. These parks call for lots of walking, but you’ll hardly notice with all of the fun you’re having! One tip though, avoid greasy food sold by vendors at the park by packing light snacks, such as sandwiches and fruit. Everyone deserves some relaxation time whether it’s at the beach or by the pool, but you’ll be doing your body a favor by breaking up the relaxation with some activities that get you moving. Why not pick up a game of beach volleyball to liven up your day? If hitting your hotel’s fitness center doesn’t sound appealing, try out tennis or basketball instead. Vacation is the perfect time to try a new sport or hobby, like surfing or golfing. Even engaging in an activity every few days will help you keep off extra weight while on vacation. Vacation is definitely a time to treat yourself, as long as it’s not every day. If a banana split sounds too good to pass up, get one to share with the whole family. If you choose to dine out, pick healthier options that are grilled instead of fried. Eat slowly to savor the meal and recognize huge portions when you see them (they’re at almost every restaurant!). Counteract any savory splurges with a little exercise later in the day. Sticking with these tips will not only make you feel good about yourself during vacation, but they will also enable you to leave your destination with no feelings of guilt or regret. What’s The Ideal Length for your Vacation? If you are a last minute planner with few vacation days, take a Friday off, get in the car and go! A tight budget or a busy schedule should not keep you from taking time to relax. An extended weekend vacation may be just enough to rejuvenate and recharge. A recent study published in the Journal of Applied Research in Quality of Life reminds us that happiness comes from the planning and anticipation of the vacation, so even a short, two or three day getaway can reduce stress and improve quality of life. This tends to be the optimal vacation duration with enough time for travel days and ample time to reap the benefits of setting into full vacation mode. This time frame is ideal for couples and families who have more vacation days available and time to plan. According to a study done by Dena Ann Dries, a doctorate student at Colorado Springs-based University of the Rockies, “Job satisfaction was higher and burnout was lower when the mark was around 10 days in my study.” This time frame also allows you to actively participate and retreat into a vacation. If money and vacation days are not an obstacle for you, an extended vacation may be an ideal way to get the most out of time off. International travel is always an eye opening learning experience that is more worthwhile if you have more vacation days to use. More days allow for the extra travel time that a far away vacation requires. A longer trip also gives time to first unwind from work mode and transition into really enjoying every moment of your journey! If you plan to be vacationing with a larger group of people, longer trips are ideal because you’ll have more time to spend with each person. SmarTravel will let you put these tips into practice! We have multiple destinations all across the United States and the Caribbean. For more information, click here. If you frequent our blog you know that SmarTravel as a company is extremely committed to giving back to the communities in which we work. While we’re passionate about every charitable event we take part in, we are especially excited to work with the Ronald McDonald House Charity of Indiana because it will really challenge us as a company! During the month of August, SmarTravel will be the organization’s official Pantry Partner. This means we’ll be tasked with collecting as many items as possible for The Ronald McDonald House. This house has been a home-away-from-home to more than 30,000 families over the years. The safe haven serves parents and siblings of seriously ill or injured children during difficult times. Housing that many people is a tough job, but it’s one the Ronald McDonald House has never shied away from. We are certainly confident we will be able to help by providing them with items from a top ten list of their most needed products. At the end of the month, SmarTravel employees will gather up all the items and deliver them to the Ronald McDonald House! SmarTravel feels so honored to be named a Pantry Partner for RMH! We’ll be sure to provide an update at the end of the month to let everyone know how many items we were able to donate! Here at SmarTravel we pride ourselves in delivering the best vacation destination options to our clients from all across the United States and even in the Caribbean. One of our favorite U.S. destinations is the very fun and flashy Residence Inn in Las Vegas, NV. Visit the infamous Las Vegas and decide for yourself if you want to share what happens there! While Vegas is known to cater to an older, more rowdy crowd, this vacation option can actually make for the perfect family vacation, girly getaway or even romantic trip! The Residence Inn is located just a half mile from the Las Vegas strip. Relax and take a break from sin city in your one or two bedroom suite. And no, Las Vegas isn’t just for big spenders. Relish in the savings this spot offers. Enjoy a complimentary breakfast every morning and free wifi to help keep in touch or plan your activities for the day. The resort provides basketball and tennis courts along with a fitness room for all guests. If Las Vegas’ high-priced (but delicious) buffets don’t sound up your alley, save money and utilize the full kitchen in your suite to cook in house. Families will enjoy activities that are only minutes away, such as the tropical Bali Hai golf course for dad, and the Las Vegas Outlet Center for mom. Take advantage of the free shuttle service to the MGM Grand, which features live entertainment shows, concerts, nightlife and restaurants. The shuttle also visits Mandalay Bay, an 11-acre spacious water beach with a lazy river, four pools, cabanas and more. The Residence Inn by Marriott Las Vegas proves that Las Vegas isn’t just for big spenders. Enjoy everything about Las Vegas with the added perks and amenities at the Residence Inn. For more information on area activities, visit the Las Vegas website. For more information about booking a vacation with SmarTravel and TAN, visit our website.